Eleven and twelve is a time of big change for kids, both emotionally and physically. Keeping this in mind, our panel of experts selected a wide range of books that will both resonate with the complex lives of preteens as well as educate and entertain them. The books fall into five categories, including non-fiction, and a brief paragraph explains why each category can inspire and comfort kids at this age. Since Z is 12, I was really interested to take a look at the list and see how we were doing at choosing great reads. He's already read and enjoyed three of the books and I've read some of the others and would love to get them into his hands. This really is a great collection. You have a chance to win all 50 books from this list (or those for another age range -- The 50 Best Books for 5-and 6-Year-Olds, The 50 Best Books for 7-and 8-Year-Olds, and The 50 Best Books for 9-and 10-Year-Olds) because, in celebration, Brightly is giving away a customized collection of 50 of the best books for the kids in your life. So head over, check out the lists, and enter to win SO many good books! 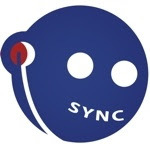 If free audiobooks for teens sounds like a better fit for your kid, you'll want to check out the SYNC Audiobooks for Teens Program, sponsored by AudioFile Magazine and powered by Overdrive. This program is in its eighth year and it aims to engage teens with "new literature for their earbuds". SYNC makes available two FREE audiobook downloads every week, to each and every registered listener, all summer. In 2017, 32 titles will be given away through the 16 week-long season. Teens, librarians, club leaders, and educators may sign up for email or text alerts and can learn more at www.audiobooksync.com. SYNC creates weekly thematic pairings of teen-focused titles to encourage both critical listening and opportunities to make choices and develop personal tastes. During the summer of 2016, the SYNC program gave nearly 172,000 downloads to more than 31,000 participants. Any individual may participate by downloading the OverDrive App to their device of choice and returning to the SYNC website each Thursday after 7am Eastern Time to download the new audiobook pair for the week. Each title is available for one week only, but once downloaded they can be kept forever, so the opportunity to listen can extend well beyond the term of the summer program. 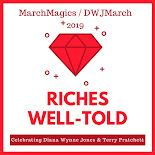 There are lots of great authors and titles on this summer's list, including some of my favorites--Oscar Wilde, Douglas Adams, and Terry Pratchett. As you and your kiddos make your summer reading plans, I hope these sources come in handy.